My introduction to the world of animal training and behavior started in a very traditional dog training school. 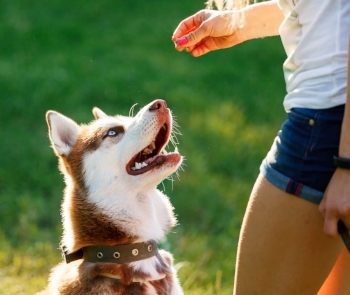 This school employed mixed methods to get the dogs to learn and repeat behaviors. Like the mixed methods of the school, the results were mixed as well. When an animal failed to perform, force was used to make them comply. That force included pulling, molding them into position, or collar corrections until they complied. Food was present during early learning stages to keep the dogs motivated but it was rarely used with any real repetition. There was a reason for this. The instructors preached that you "don't want to be reliant on food to get your dog to perform." I was innocent and ignorant so I ate the information up. At least that was until I got my first primitive dog, a Shiba Inu. Quickly these methods created such an adverse reaction that my dog wouldn't just fail to comply, he would lie down and not move. I was dying to know why my dog was so miserable. That lesson took me on a journey into better understanding the power-tripping fallacy fairytale obscuring us from truly knowing and appreciating our dogs. 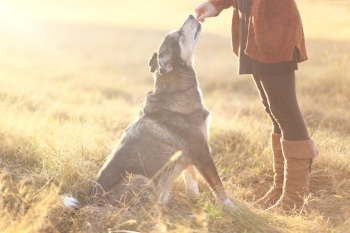 "I don't want my dog reliant on treats. He should work for me because I'm the alpha." 2. There is no predisposed reason why your animal "should work for you". Your dog will work "with" you because they like the outcome, or "for" you because they are afraid of the consequences of not. "But I don't need to use treats"
Then why do you think your dog works with you? What is the outcome for the dog? If it's toys, play, or something fun, then sure, I'll bite. But if it's "because you said so", then you are lying to yourself if you think it is because of anything but fear. I don't mean cowering in the corner type fear. I mean "yikes, my human said sit, I better sit or else the next thing they do is something I don't like". Don't confuse this with respect either. "I want them to know I'm the boss." Guess what, you control their food, water, access to a bathroom, etc. You are the boss, but whether you are a boss they respect is another matter. In your own life, did you like your mean, cheap, stingy, self-serving boss, or the generous, motivating, cooperative, and engaging boss? You get to choose the relationship you have with your dog. Why purposely make this underlying with conflict with your dog, for their lifetime, because you don't want to use the one thing that your dog is genetically wired to be happy with? "It has worked fine this way for centuries, why stop now." Believing the world was flat seemed to work fine too. Right? And your phone is still attached to the wall isn't it? In all seriousness, the sciences of psychology, ethology, and welfare are showing us a better way. Wash out rates of service dogs and working dogs drop when methods incorporating food rewards replace tradition correction based methods. The only problem is with this change is you have to eat your pride and understand that in life dogs, (and humans) do things because they anticipate an outcome and we only respect and like that which gives us an outcome we like. I know it sounds selfish, but in fact, even altruism is motivated by self-interest. "I don't want my dog to beg." Okay, don't feed them for begging. Problem solved. Seriously it really is that simple. "But what if I don't have food around." That's okay. Just like when your boss says "sorry, payroll will be late this week" you forgive them and continue doing your job. You are accepting because you know the payment is coming and the vast majority of the time, you get paid on time. So if you get in enough repetitions with food that your dog feels the chance of a reward is good enough, then you're fine. But don't make it a habit. If you're stingy your dog is going to blow you off and find a job that pays better. "But my dog listens because they love me." Your dog does love you. I don't doubt that. But we don't comply out of love. If we have to all the time, we do it begrudgingly. I love my family but if they demand I stop what I am doing 50 times a day and require me to do something for them, I will eventually resent them. 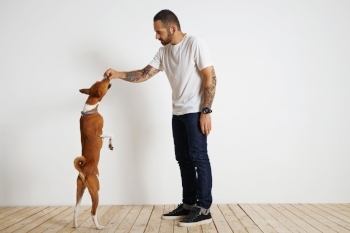 Now assuming that a dog feels this may or may not be realistic, but to be asked to repeat something over and over without compensation won't work and it does lower response times and engagement. That certainly sounds like aversion and maybe even resentment to me. So where do we go from here? I suppose we work on a mindful relationship with our dogs. We enter their umwelt as much as possible and try to understand when our reward system is too lacking for them. 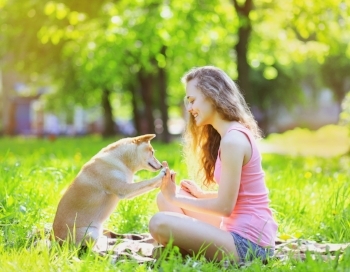 It is our responsibility if we are to honor our dogs and their patience with us, to make interacting with us worthwhile, engaging, and pleasurable. Start today by ordering a treat pouch and chopping up some chicken. The entire dog world will be grateful for it. And the next time someone says "I don't need to use food to train my dog" simply reply with "what a shame, you're missing out".